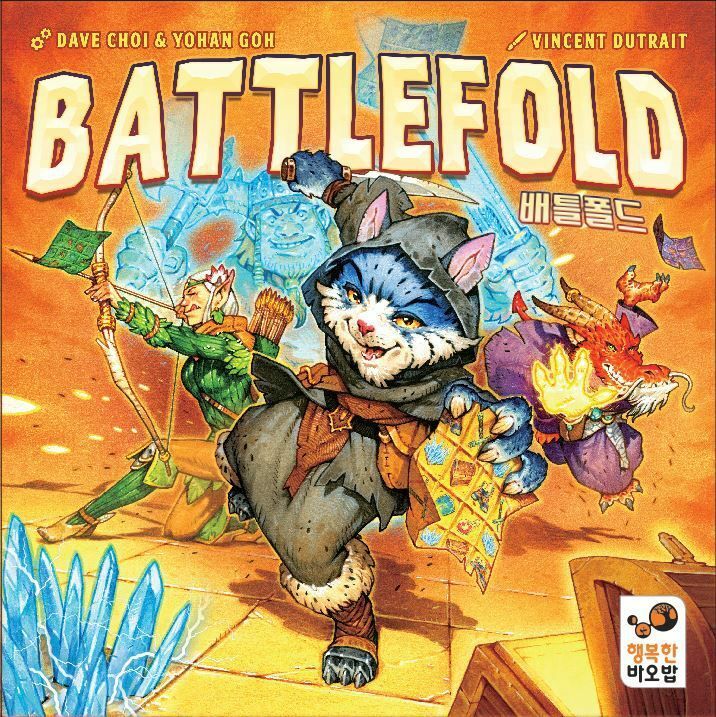 In Battlefold, each player takes on the role of a warrior, assassin, magician, or archer. The player takes the handkerchief matching their character, with each handkerchief providing different fighting powers. The warrior, for example, has a cross-shaped attack range and is more powerful when staying in the same position, while the archer has a long-distance attack and more movement. As in the earlier game Fold-it, once a mission card is revealed, players must fold their handkerchief to leave visible only the right combination of symbols. After successfully making a combination, the player takes the lowest remaining turn order token. Starting with the first player, each player controls their character on the arena board, moving and fighting with the goal of being the last one standing. If a player defeats all other opponents, they win! Battlefold is a player-elimination game, but eliminated players can still participate via the "ghost" rule. When a player's character dies, the character becomes a ghost. Flip the character board to the ghost side and keep playing. A ghost player can gain spiritual energy by successfully attacking living characters, and if a ghost collects full spiritual energy before only one living character remains in the arena, then the ghost wins the game.